Media darling and Scottish politician Ruth Davidson, who is expecting her first child with her partner, Jen Wilson, has announced that she “desperately wants to be a Mòd mum” in an interview with BBC Scotland. “I used to hate Gaelic because of my time at the BBC when the Dè a-nis? team would get to the macaroni cheese in the canteen before me, but impending motherhood and a sit down with Cameron of Locheil has convinced me otherwise.” Said the leader of the Scottish Conservative & Unionists. “I’d just like to announce that me and Jen are going to put our youngster into Gaelic Medium Education. 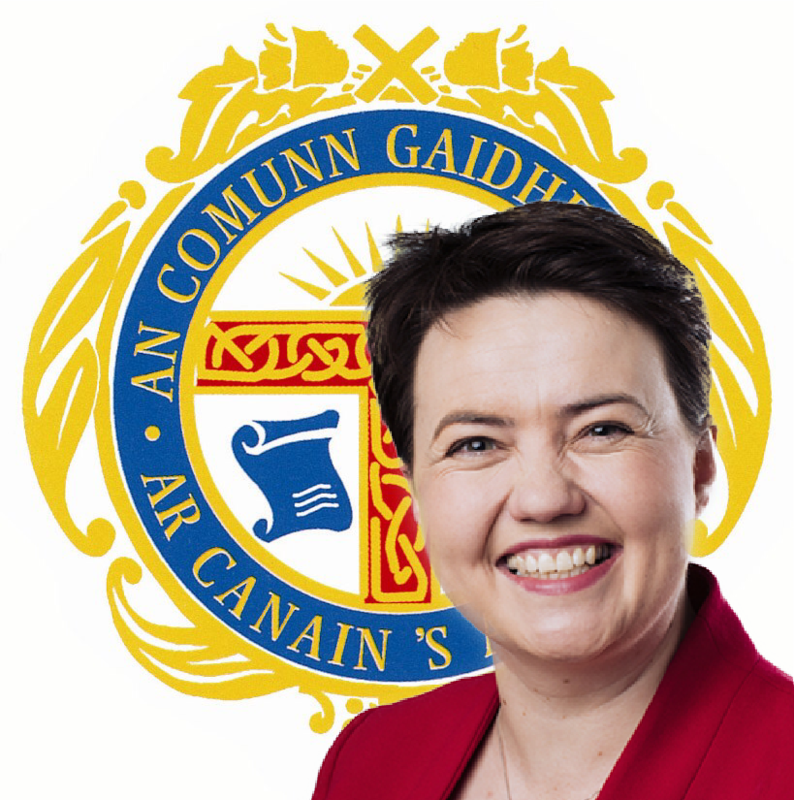 The Tory Party have long supported parental choice in education and GME also seems to be funded by some sort of Dark Money so I can get onboard with that.” Ruth has also told her back-benchers to “lay-off that pish about Gaelic roadsigns cause it makes us look like a bag of dicks.”.